“And Hannah prayed, she said, My heart rejoices in the LORD, mine horn is exalted in the LORD” (1 Sam 2:1a). The Word of God is full of tiny mysteries. But how does He reveal them? When we read the Word of God with prayer we are granted with the spirit of wisdom and revelation. And the mysteries are unraveled through such a healthy reading. The book, Hannah’s Prayer, touches on this topic using the Old Testament example of Hanna, the formally barren mother of the prophet Samuel. The Bible is like a large treasure hunt map. Treasures of life are buried in each written word in His book! Paul compared the written word as life itself! (Eph. 1:16-17). After the Israelites had escaped slavery in Egypt, crossed the Red Sea and began wandering in the harsh, wasteland wilderness of the Middle East, God would leave food for them every morning. They would have to go out of their tents to find it. They called it manna. As we read the Bible today, we similarly can find the “manna” God has left us. In the Old Testament, manna was used by God to foreshadow Christ – our true heavenly food. That same “manna” is present today in God’s Word (John 6:31-35). As we read His Word we find two types of manna: the “visible manna”, which is the written Word of God, and the “hidden manna.” Do you remember that at the beginning we talked about discovering the mysteries of God’s Word? These mysteries are the hidden manna, we need to have a true fellowship with the Lord in order to eat this manna. It’s a special portion of His word (Rev. 2:17). And of course, both are necessary to supply our lives! That’s what the book Hannah’s prayer will walk you through to do. We’ll learn how to to eat, to chew and to transform His living Word in our prayer. As we pray, we’ll realize that our prayer becomes richer, full of spiritual meanings and reaching deeply the heart of our Lord! His life will be increased in us day by day and we will learn to have joy in the Lord in every situation. And this is done through prayer! As human beings we rejoice when we get things, or when we get complimented, or when we listen to a good song. There’s nothing wrong with these things on the surface, I mean, they gladden our heart, but all those things are fleeting. And that joy is also fleeting. 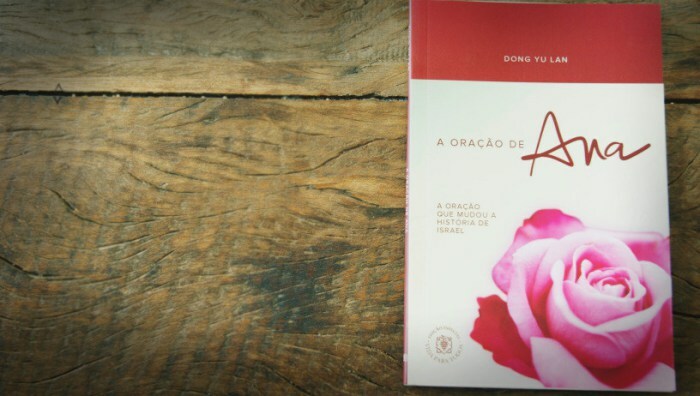 In this book we’ll learn how to rejoice in who is TRUE, EVERLASTING and is ALWAYS NEW! We’ll rejoice not in what He gives us, but in who our beloved Lord Jesus is for us! When trying to speak to God we just have to open our hearts to Him. Exactly like Hannah did it! Hanna wanted a son but she was barren. She was told she’d never have children. But she’d pray at the temple nearly constantly. She gave God all of her pain and her anguished heart to God, crying for help. She allowed herself to be vulnerable with God. God already knows how she felt. But He wants and needs to hear us call on Him. We have to tell everything to the Lord without fear or reservations! When Hannah told everything to God, she got to know the Lord better and gain an intimacy with Him that she couldn’t if her heart was guarded (Ps. 25:14). Hannah saw the need of God. Hannah had such an intimate fellowship with the Lord that she touched God’s heart. Her first prayer presenting her desire for God. It was simple . She presented her deepest sadness of not being able to give birth to a child when she wanted one so badly. So, she began to pray, letting herself be led by the Spirit that guided her, and she realized the need that the family had to have a descendant to preserve the heritage. And as the Spirit guided her, she found out she wasn’t the only one who wanted something, but God wanted something too. God would need a king to rule his people and it would be through Hannah’s future son, Samuel, that that king would be appointed. Hannah asked for a son because she knew that God would also need him to fulfill His plan, then, she consecrated her son to the Lord. She wanted her son to be for the Lord and made a vow deciding not pass razor on the boy’s head. Prayer answered! Her prayer that had began with what Hannah wanted but that expanded to the family and reached the need of God. An intimate prayer lead to both Hannah and the Lord being supplied! Young one, at this moment you may feel overloaded by things the world offers. Perhaps you are not being able to go deep into the wonders of God and the biggest difficulty is in separating out time to talk to Him. So, we propose you a challenge. How about going to the “mount”, a place where you can be alone and pray, cry for help, as did Hannah, presenting everything to God? Pray with the belief that everything has already been accomplished (Mark 11:24). Persevere! Do not give up, because God will speak to you when you cast off your guardedness. He always answers us. Once the need of God is reached in our prayers, our prayers are answered. Allow yourself to deeply know God. The book Hannah’s Prayer will change the way you pray and read the God’s Word and you will taste the greatness of the riches that Christ has to give you! Will you miss out this opportunity? Jesus is the Lord! Messages given by Brother Dong Yu Lan in March 1994 in the city of Cuiabá, MT. Before we believed in the Lord, we used to do everything according to our own will. 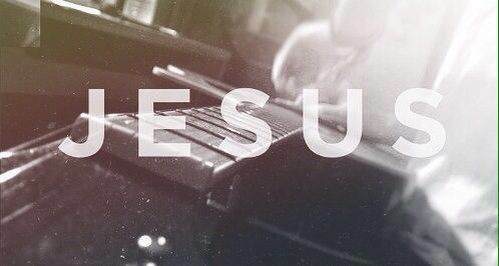 But He saved us, so we belong to Him, and we’re here to do His will. This new life we have received has a basic requirement from us to have power: to walk according God’s will. The more we obey Him, the more life we get and the deeper joy we feel. However, if we walk according to our own will, we won’t get the what God wants to give us. The desire of God is that we act according to His will in all of our decisions. He only wants His children to be happy. But how can we know that something is indeed the will of God? Or if it’s just a feeling from ourselves or from the people around us? God wants us to do His will so he had to give us a way to help determine it. Faced with so many factors around us, we need to be clear about three principles for which we can figure out the will of God. We need to pay attention to three things: the arrangements in the environment we’re in, the direction of the Spirit, and, of course, the Word. If these three things fall into place for us, we may be sure that we know God’s will. IfBut if one is out of balance, we should wait until all 3 are in unison. This passage says that even things as small as a sparrow, or as thin as a hair are under God’s care. God cares for everything and everything that happens to us is under His sovereign arrangement. The circumstances around us are often the result of God’s mercy which keeps and sometimes restricts us, until we see that there isn’t other choice but to follow Him. Like a set of doors all becoming locked leaving us with one door to choose. We’re God’s children because we took in the same divine life that He has. We can say Spirit of God flows through His believers and can give us the knowledge of His will. Through it, spontaneously we get a feeling, a wisdom, an inner certainty that goes beyond our own feelings. There are two ways the Spirit guides us inwardly. It either encourages us or forbids us to do something. This divine life running through us gives us calming peace when we act according to it. Likewise we’ll feel uncomfortable when we don’t act according to it. As we read in Colossians 3:15: “And let the peace of God rule in your hearts”. We will have peace if what we’re considering comes from the Lord. We will not have peace if it doesn’t come from Him. The Word of God is revealed to us through His words recorded in the Bible. These inscribed words don’t change and have to be studied carefully. We can’t interpret them according to our own point of view and adjust it to our own will. Moreover, the Holy Spirit will never contradict the Word. We can rest assured that it’s the Holy Spirit guiding us if it’s in accordance with His written Word. In His scriptures we can know the person of the Spirit and the way He acts. If these three things of environment, the Spirit and the Word are all aligned we know that it is God’s will. If not, we need to pray for them to align or pray to accept that they might not be meant to align. It could be that a possible decision has been confirmed by the Word and the inner feeling of the Spirit, but not by the circumstances around us. In this case, we could say that indeed it is the will of God, but not yet the right time to act it. Or the circumstances could be perfect and confirmed by the word but we have no peace from the Spirit which could meanGod is trying to tell you to hold on. In either case, we need to wait and keep seeking guidance before the Lord. The principles listed above work together, like support beams to a bridge, to reveal God’s will to us. But we might not have enough experience to evaluate each of them. When this is the case, we can resort to the more experienced brothers regarding the Word, the Spirit and the circumstances around us. The Lord has placed us in the church life to perfect us and it’s a fortunate grace to have people who care for us and help us with their own experiences with the Lord. It is always important to seek confirmation from the brothers ahead of us. But their feeling should never replace our individual search to know God’s will. These are the main ways God used to reveal His will to His servants in the New Testament. In the Old Testament, visions and dreams like for Joseph, were common then but aren’t the regular way God uses to guide us in this age. Since Christ ascended, He left us the Spirit for us who speaks to us. God uses dreams and visions when something is so radical that it’d hardly accepted under normal conditions. In Acts 10, for example, the Lord called Peter to preach the gospel to the non-Jews which he never would, because of his traditional stance to ignore the non-Jews. But in this chapter, we’ll see that there was environmental confirmation (Cornelius sent men to Peter) and the speaking of the Holy Spirit (v.19). There are also times when we have little time to consider like when Paul reached a spiritual epiphany while praying in the temple, and God told him to hurry up and leave Jerusalem without delay (Acts 22: 17-21). In extreme cases like these, with clear visions or dreams and the approval of the inward feeling of the Spirit, we can act without waiting for confirmation of the environment. But again, these instances are far and few in between. Above all, we must have a living before the Lord with a heart delivered to Him and a purified conscience. Striving for this allows us to better know who He is making it easier to know His will before every situation. Each of us is different and God will guide us each differently, but these are the main ways: our environmental, the inward direction of the Spirit and the teachings of the Bible. Text made based on the chapter “Searching the Will of God”, of the book “Building up New Believers”, from Watchman Nee. How often have you felt alone? Maybe you have many friends but at the same time feel like you have no one? You want to vent but have no idea who to tell it to? Willing to cry but not knowing who to collapse onto? Don’t be discouraged! There is a solution to these problems. There’s someone interested in everything you are – even the bad parts. And not only that; this Person also wants to give you His life. His name is Jesus!In our lives we go through waves of anxiety, sorrow, want, loneliness, and discouragement. And sometimes those waves feel more like whirlpools and we don’t understand why we go through those feelings. We are suffocated all day by what life demands from us. It feels like we aren’t going to be able to endure it. Those feelings are like a weight tied around us, dragging us deeper into an ocean. The truth is we can’t really deal with it. On our own, at least. The greater truth is that we can be supplied with a life that can transform the whole valley of dry bones into green pastures! When Jesus came to this earth, He went through all emotions like sorrow, pain, loneliness. He, “being in the form of God, did not consider it robbery to be equal with God, but made Himself of no reputation, taking the form of a bondservant, and coming in the likeness of men” (Phil. 2:6-7). He could have come to this earth just to make demands and give orders. Nevertheless, the verse continues: “He humbled Himself” (Phil. 2:8). The first step to get to know Jesus is to empty our self. How? By uttering His name: “Oh, Lord Jesus!” No need of any formality, ritual or a script – just call Him. He wants to hear from your mouth. He doesn’t want to be an afterthought, He wants to hear that He is the only one who can transform all our sadness into peace. He knows we can’t deal with our problems on our own but we need to be emptied out, like a dirty pipe, for Him to pour in more easily. If Jesus, being God, emptied and gave everything of Himself for us, how much in turn do we need to empty ourselves? After emptying ourselves, the second step is to be humbled. To be humbled is to end lower than when you started; on your knees instead of on your feet. This isn’t something to be embarrassed of; on the contrary, it’s a pleasant thing. We can more touch deeply the person of Jesus is when we humble ourselves. By doing so, all problems of this world will not be able to touch us since we have already touched Christ. As we seek for His presence, we can be supplied with life and be full of joy even with afflictions. Once we get to know Him, nothing will replace the love and care He gives us. Now He is also waiting for you. Meet him NOW! Open yourself to Him. He wants to be your best friend and a great help to your difficulties (Ps. 46:1). Do not waste this wonderful person. He wants to give you victory. Go now, cry out for His name and be free from all the harshness of this world! He is your opportunity! Jesus gave Himself for us and His desire is that we give ourselves completely to Him. So our time should belong to Him. This doesn’t necessarily mean that we should leave what we want to do behind, but it means that we need to give priority to Him and to live every moment in His presence. However, in the daily rush, we’ll sometimes have difficulty separating out a time for prayer and the reading of the Word. If you’ve been facing these kinds of problems, here are some principles that might help. Know that the Lord Himself is the one who is going to take you to live closer and closer to God. The daily fellowship with God renews us, keeps us from falling into temptation and gives us strength and wisdom to continue with our daily activities. He awaits our presence. God’s desire is that we may be in fellowship with Him, and with this purpose in mind He did all His work on Earth. Yes, God’s things do not conform to the things of this age. It’s us who should conform to God’s things. We have an interesting example in the Bible: Daniel. He had an influential and demanding position within the kingdom of Babylon; which meant he was a busy man. Yet he separated time to pray three times a day (Dan. 6:10) and at one point, the Babylonian king said that Daniel served God continually (Dan. 6:16). So, where there is interest, there is time. … To go to Him as soon as you wake up. The morning is the gate of the day, and should be well guarded with prayer. It is one end of the thread on which the day’s actions are strung, and should be well knotted with devotion. If we felt more the majesty of life, we should be more careful of its mornings. He who rushes from his bed to his business and waiteth not to worship, is as foolish as though he had not put on his clothes, or cleansed his face, and as unwise as though he dashed into battle without arms or armor. Be it ours to bathe in the softly-flowing river of communion with God, before the heat of the wilderness and the burden of the way begin to oppress us. Many can testify: if we start our days with a moment of fellowship with the Lord, our activities during the day get easier to be done. This also gives us more confidence against the traps of the enemy during the day. According to my judgement the most important point to be attended to is this: above all things see to it that your souls are happy in the Lord. The fellowship with God is what makes us truly happy and it must be the most important activity in our day. George Muller, a brother who lived in the 18th century and who, through prayer, did extraordinary things (its worth reading a bit of his history). If something happens and you can’t go to the Lord’s presence early in the morning, do it as soon as possible afterwards. “The Lord is near to all who call on him, to all who call on him in truth” (Psalms 145:18). For “everyone who calls on the name of the Lord will be saved” (Rom. 10:13). There are many factors that get in our way when praying. But to get past those we have to be one thing. Above all, be honest with God and yourself. David was very honest in his prayers in the his psalms. Tell the Lord that you can’t pray and that you need help to see and eliminate any other roadblocks. Ask Him to show if you have committed any sin and, having shown them, confess them, for our sins make separation between us and God. Doing this gives us a freedom that we didn’t have with sin. The main function of prayer is to listen to God, not to speak to Him. Before all, open your heart! God always has something new of Himself to reveal to us. You don’t have something to pray for? Then open the Bible, there you will find a subject to talk about with God (Book: The Potter’s House). Try to pray on some verses. To pray on the Word is a valuable practice! Pray for prayer—pray till you can pray; pray to be helped to pray, and give not up praying because thou canst not pray, for it is when thou thinkest thou canst not pray that thou art most praying; and sometimes when thou hast no sort of comfort in thy supplications, it is then that thy heart all broken and cast down is really wrestling and truly prevailing with the Most High. Remember: depend on the Lord, confess your inability. He goes to those who know their weaknesses and humble themselves before Him (2 Chr. 7:14; 2 Cor. 12:10). In the beginning prayer can seem something forced, but keep praying until it becomes spontaneous. It’s like re-acquainting yourself with an old friend or cleaning out a dirty pipe. As the water flows through the channel, it removes obstacles and eventually flows freely. To conclude, we always need to remember that, in our Christian lives, we need to have perseverance. In many passages of the Bible, God tells us we need to persevere. It’s He who gives us strength and wisdom in order to persevere. It doesn’t matter the difficulties that we come across with, we will keep looking to Him! Translation of the article Separar tempo para a comunhão com Deus (Blog Eu vos escrevi). Español. The Bible addresses this world in a very serious manner, as we can see by the verse above. But what is the exact meaning of world in passages like this one? And how do we deal with it? What are the boundaries when we get involved with activities here on earth? There are many different opinions about this matter among Christians, some are very strict and some are more liberal. So we need to be clear about what the Bible says. So we decided to start a new series, introducing the book Love Not the World which was based on messages given by Watchman Nee in several places, during 1938 and 1941. It remains however very relevant to today. Our posts are merely abstracts of the chapters in the book, so we suggest you read it to gain a more complete understanding. We invite you to accompany us in this series and discover how we can keep our lives on this earth in accordance with God’s will. May the Lord bring us His freedom through these readings! In these verses, Jesus places Himself in opposition to the ruler of this world. Here we see that this world will be judged and its ruler will be cast out. This would happen through the obedience of Christ unto His death on the cross. In the Bible, the Greek word kosmos is mostly translated as world – there is only one exception. It’s a meaningful word. If we check its origins in Classical Greek, we find that it originally meant 2 things: first, an orderly or harmonious arrangement; second, embellishment or ornamentation. The second idea brings in the verb kosmeo, to adorn, to embellish, as in Luke 21:5 and Revelation 21:2. The exception we’ve spoken about is in 1 Peter 3:3, where the word kosmos is translated as adornment, in accordance with the same verb in verse 5. As in Acts 17:24, “God, who made the world and everything in it”; Matthew 13:35, “The foundation of the world”; John 1:10, “He was in the world, and the world was made through Him”; and Mark 16:15, “Go into all the world”. As in John 1:10, “And the world did not know Him”; 3:16, “For God so loved the world”; 12:19, “Look, the world has gone after Him!”; 17:21, “That the world may believe”. Some examples can be found in John 14:17, “Whom the world cannot receive”; 15:18, “If the world hates you”. The riches and delights of this earth, stimulating our desires and moving us away from God. Examples in 1 John 2:15, “The things in the world”; 2:17, “The world is passing away”; Matthew 16:26, “If he gains the whole world, and loses his own soul”; 1 Corinthians 7:31, “And those who use this world as not misusing it”. The word kosmos is used like this not only in regards to material things, but also to abstract concepts, such as spiritual and moral values. Thus, 1 Corinthians 3:19, “The wisdom of this world”; 7:31, “The form of this world”; 2 Peter 1:4, “The corruption that is in the world through lust”. A Christian should keep him or herself “unspotted from the world” (James 1:27). These 3 definitions put together, (1) the material earth, (2) people on earth, and (3) earthly affairs, help us form a general idea of what the world is. We can see that there is something behind them. The classic idea of an organized system can aid us in understanding: behind all of this there is a planned system, one that operates in perfect order. About this system, there are 2 main matters we need to know. First of all, we need to know that the world has been in opposition to God since Adam fell. The world “hated” Christ (John 5:18), “its works are evil” (7:7), and “friendship with the world is enmity with God” (James 4:4). That is why the verse from John 12 we quoted in the beginning of the article says that this world is under judgment. God’s position towards it is uncompromising. This is because, in the second place, there is a mind behind the system – John writes several times about “the ruler of this world (John 12:31; 14:30; 16:11). Now we can better understand the passage from 1 Peter 3 which we spoke of before. There we see Peter saying that inner beauty is what counts before God, and not outward “adornment” (kosmos). We can realise that there is power acting behind clothes, jewellery and makeup. Do not let this power rule over you. We should ask ourselves what motivates us in regards to those things. It can be something truly innocent, nothing sensual, simply wanting to have a nice appearance. There is nothing wrong with that. But can you notice what we are dealing with here? We are touching that harmonious system (sorry, I don’t understand this) behind visible things, a system which is controlled by the enemy of God. Hence, we need to be careful. In the beginning, neither earth nor man had anything to do with the world. But Satan took the opportunity of man sinning to introduce this system on earth. So we can say that before the fall there was an earth, and after the fall there was a world. At the Lord’s coming, there will be a Kingdom. When the Kingdom of the Lord Jesus is here, it will put an end to that of Satan. Politics, Education, Literature, Science, Art, Law, Commerce, Music – these are all things that make up the kosmos, things we can find in our daily lives. These fields have been developing throughout history. Where is this progress going, though? What is the final goal of all this? In the end, the antichrist will rise and establish his own government in this world (1 John 2:18, 22; 4:3; 2 John 7; Rev. 13). This is the direction the progress of this world is going. Satan is using the material world, its people, and the things of this world to eventually rule over everything under the government of the antichrist. Then the world system will have reached its peak and each one of its units will be revealed as being an antichrist. Finally the question we should always ask ourselves when relating to the things of this world is, “How will this affect my relationship with the Father?” God is working in the church to bring about His Kingdom. Meanwhile Satan is building up his system to obtain the government of the antichrist. Which one do you want to take part in? We see here that we need to be alert not only against sin, but against the ruler of this world as well. When we have to decide between two things, we should not ask if that’s good or bad, or if that’s useful or harmful. No! What we need to ask ourselves is, “Is this from this world or from God?” Once we know that is the only conflict in the universe, we know that whenever two options are put before us the choice is between nothing over than: God or Satan? Do you have any doubts on practical matters? Well, this is only an intro. Keep on following us through this series for more clarification about the matter. May God bless you! One day we’re excited and the next day we feel down. Today we’re loving, tomorrow we’re grumpy. Calm one day, agitated another day. We’re all like this. Who doesn’t know people like this? Our feelings and the circumstances around us all change, however, our life with God cannot be so prone to changes. When many of us listen to the word in a conference, for example we have a strong desire to practice it, but we give up on it soon after. There are also those who stop going to church meetings because they are not feeling well on a particular day. That leads us to fully stop meeting. But God wants to make us be steadfast and constant as Christ. But how can this become a reality to us? Only through faith. We need to live by faith (Heb. 10:38), and not by feelings. To have faith means to receive something as a steadfast truth. After you start to believe, it become an unchanging fact to us. It is impossible to question, doubt or overthink if it’s going to happen. And that’s it! Now, what you have to do is to wait for the fulfillment of this fact. This must be our attitude towards the Word of God. It is written in the Bible that there are no impossible things to God. Our faith is like a grain of mustard seed and Jesus said that can move mountains (Matt. 17:20). We need to believe this! It is written that His Spirit dwells within those who believe in Him (Rom. 8:14). It is the word of God that says so! It is a fact, regardless of your feelings. We also need to believe that the same Spirit which dwells in our inner being is the same one that makes us obey the Word of God. The Lord never said we should serve him based on our feelings but by steadfast faith! The Word tells us not to neglect to meet together (Heb. 10:25), and it doesn’t make exceptions to sentimental matters. We need to remember that our feelings, besides from stemming from our fallen soul life, are also affected by Satan. Therefore, it is of great importance that we watch ourselves and be at our best with our fellowship with the Lord. This must be our standard. If today I am discouraged with the church life comparing to yesterday, however little discouragement it may be, I need to pronto search for the presence of the Lord by gazing upon His living Word. This is safety to us! The more we know our God, the more we have trust in His Word. We need to have the practice of reading the Word with prayer every day. And by doing so our faith will grow. Young one, what bewitches you? What draws your attention? What distracts you? “Bewitchedness” is one of the most pressing issues as a Christian. The largest Radioactive incident in Brazil nearly thirty years ago will be used to illustrate this. We hope that after reading, you would be encouraged to look forth to the right direction. Paul’s epistle to the Galatians was aimed at the saints residing in the region of Galatia, which is modern Turkey today. In the context of those days, the saints from that region were influenced to practice works of the old testament. Practices whose significance had come and gone in the light of to what God had prepared and revealed in the New Testament. Bewitched is a strong word. It’s defined as: to enchant and delight (someone), captivate, entrance, enrapture, charm, beguile, beauty that fascinates. Paul used this vocabulary to draw the saints’ attention and help them to refocus on Christ. That characteristic of the Galatians proves our biggest problem: being bewitched. It all started when two garbage collectors trespassed into a hospital to rob an abandoned machine and fully intended of profiting from the scrap metal. After it was sold, the “new owner” of the metal began dismantling the aged machine and noticed that there was a capsule with white powder. It looked like salt. Surprisingly, the capsule looked like it had “supernatural” particles which made the powder shine in the dark. Bewitched, the owner took the powder to his place, calling his friends and carelessly distributing and handling the powder to them. It got to the point of his niece ingesting the powder as she mixed it with a boiled egg. In a matter of days, his wife noticed that he, her husband’s friends and her niece were all feeling sick. They thought it was a virus so did the doctors. They dealt with those symptoms with a virus being its final diagnosis. In the meanwhile, the little niece became even more ill, whereas the wife of the owner of the metal concluded that it all related to the white powder. Therefore, she obtained a sample and took it to the city’s sanitary surveillance center to have it tested. After its analysis, they discovered that the powder was Caesium 137, a radioactive compound. This would kick off the largest radioactive accidents in Brazil. The first measure taken was to isolate people and their belongings so doctors could treat those affected. But as time went by, some had already died due to the harmful radioactive material in their bodies. The first to die was the niece of the owner of this metal (six days after she was infected). The owner’s wife died a month after, and the owner himself died 7 years later. After the incident, 11 people died and nearly 600 were contaminated. Some are still dealing with the effects. Because the radioactivity seeps into everything in the area, that small amount of caesium 137 produced 13 thousand tons of nuclear waste. This was in the form of debris from demolition of buildings, animals, plants, soil fragments and clothing. These radioactive remnants were stored in a deposit made in Abadia of Goiânia, a city close to the capital. The deposit is covered by layers of concrete that keeps the radioactivity isolated from the environment (click here to read more information). 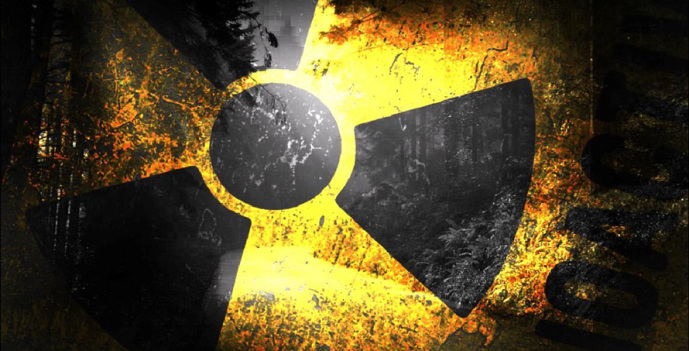 After reading this story, there’s a detail that must be added: the quantity of the radioactive material was only 19 grams – which is equivalent to the weight of a cereal bar. Nineteen grams of “bewitchedness” caused 11 deaths, 600 infected, 100 thousand people exposed to radiation, and 13 thousand tons of nuclear waste. A small quantity of bewitchedness can cause vast amounts of damage. Young one, what bewitches you? Remember that regardless of how small something is, it could cause great damage. From this text, we can also see how subtle the enemy is, by offering us a veiled death which can appear good or lucrative to us. You must notice that many times, we are the owner of the tiny, shiny metal. We buy from garbage collectors who, in this case, represents God’s enemy. We think we’re in good shape because since we discovered a shiny capsule of Caesium 137 in the middle of all that waste. We innocently present it those close to us, to those we love, we poisoning them and eventually, kill them.Young one, can you see how the enemy interacts with us? Furthermore, the contaminated results are so lasting that it’s necessary for them to be isolated in a specific storage and kept away from the public. This serves as an illustration of how we must deal with sin and our soul-life. In regard to those two items, we need to keep all these doors shut and sealing them off from us. In other words, in regard to our soul-life and seemingly harmless sin, the only applicable rule is, total isolation. The encouragement from within is to refocus on Christ and in his gospel because his good news are enough to guarantee an excellent spiritual and human life. Christ is the Light of Life and anything else that shines and distracts us are is a shine of death. It’s like Caesium 137). Look towards Christ, benefit from His light, have life and grow! That your eyes may withdraw from the bewitchedness of that shining death and may be attracted to the growth which lies in Jesus Christ, the Light of Life.